If you’ve been working on search engine optimization or any form of promotion for your content, you might have come across the term “content distribution”. Now, it’s a waiting game as all those readers come rushing in to read your amazing content piece, right? Just because you’ve finished the content, doesn’t mean you’re done. In some ways, the hard work is just beginning. Now you’ve got to promote it, and in a world where there are 4 million blog posts published on the Internet every single day, your content distribution strategy has to be on point. This post breaks down the best ways to promote your content, how to create a distribution strategy, and why it’s so important to your marketing. But first, check out this content distribution template. 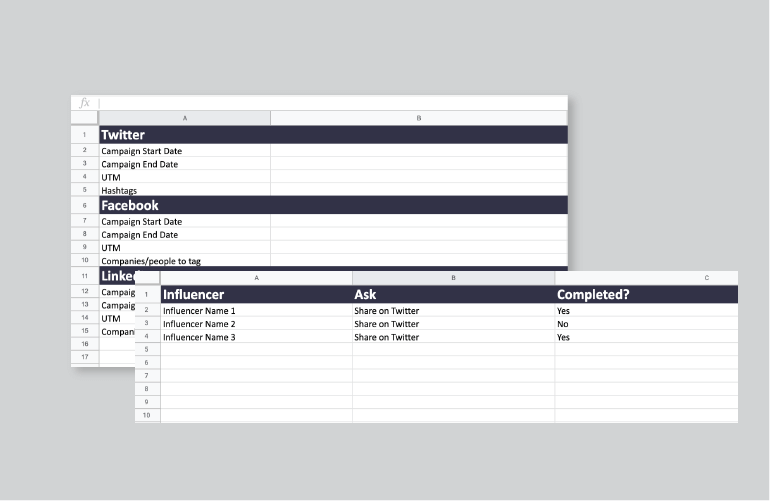 You’ll find an easy-to-follow template to track your entire content distribution strategy from start to finish. It’s also easily customizable for each of your projects to make sure that you’re promoting each content item in the best way. While it's a term thrown around in numerous marketing circles, it can have numerous meanings. 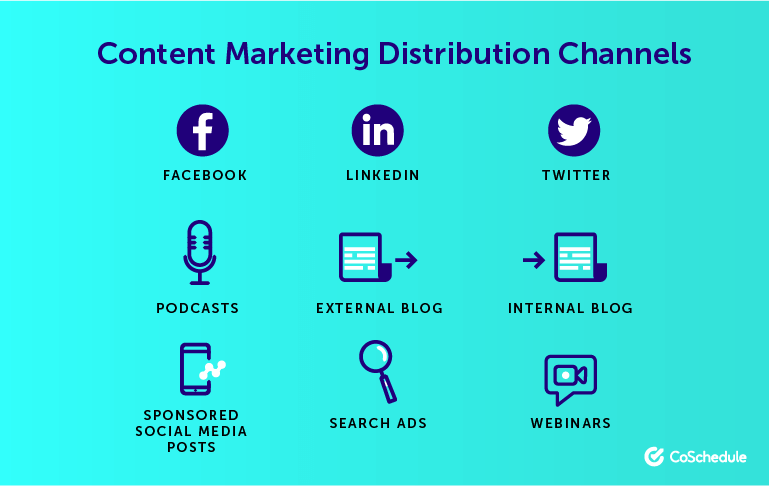 As distribution has become more important to the success of content today, it’s important to understand the nuts and bolts of content distribution as a term. Content distribution is the act of promoting content through any means by companies and brands to provide content to its targeted audience. It breaks down into three different areas, owned channels, earned channels and paid content. These three channels provide the fundamentals of how you distribute the content appropriately. These channels are the foundation of your entire online presence. It's any medium that you create and control. Common examples would be your website or an app you've developed. But these days, your social media page, your blog, or even a YouTube page, are all classed as owned channels. Without sufficient content on your own channels, your brand is not able to build, which can limit your ability to convert customers. To make the most of your own channels, you can break your techniques down into three individual components. The content: Content is key to your entire operation, and the distribution of content can include blogs, e-books, infographics, as well as videos. Videos have been vital in improving promotion, especially search engine optimization, as videos generate a 41% higher click-through rate than plain text. Posting and sharing of information: The bread and butter of engaging with potential and existing customers. By posting information and sharing it via social media platforms, you can build a following and tempt new custom in. This helps to direct traffic to your website as well as using social media to get your content to a broader audience. Marketing via email: While social media is a great way to engage with your customers, email marketing is a great way to make the most of your existing contacts and to convert them onto your latest products. Earned channels are essentially the equivalent of word of mouth. If the content that you post on your owned media is picked up by third-party sites, this results in organic search engine rankings. Search engine ranking: The rankings can be determined by numerous components, but primarily it's about a good SEO strategy. Search engine optimization is such an evolving beast that to make earned media shareable by third parties, the content working in conjunction with ranking on the first page are the two components that need to be in tandem with each other. The content distributed by the brand: no matter how you dress it up, the content has to be good enough to warrant mentions, reposts, recommendations, and shares. The paid channels refer to the external marketing approaches that, as you would suspect, results from a paid placement. It can be argued that paid media appears to be unnecessary, especially in comparison to earned and owned channels, but this third aspect works with the other two channels to help a business grow significantly. Ultimately, paid media is one of the best and quickest ways to get traffic. Think of a stagnating business that's not able to establish its brand. By investing in paid media to display content across social networks, you are getting exposure in a way that would not happen if you were to go through organic methods. For example, a promoted post may very well be a new customer’s first experience of your brand. This results in increased traffic and this traffic can be easier to track than other organic methods. As social media can provide appropriate statistics on the leads or clicks your page content gets, this can give you instantaneous feedback as to whether this method is working for you. And as the three most prominent areas of paid media are branded content, display ads, and PPC advertising, it's likely you are already making headway through the paid channels anyway. But by using paid channels in conjunction with earned and owned channels, you are supporting your brand with that all-important trifecta of content distribution. Content and its success is all about planning and preparation. You could argue that it's about the type of content you create, but content distribution and great content are two sides to the same coin. Recently, 56% of marketers stated they outsource one part of their marketing strategies, which has resulted in an increased need for help in content creation. And as 78% of marketers have reported that their business has improved due to better content creation, this shows that enhancing the content through these three channels has improved marketing in numerous ways. To improve your marketing capabilities, you cannot rely on one aspect of your content distribution. Breaking it down into these three essential components, and following them to the letter, will result in a brand that is evenly distributed. Content is king, and as content distribution becomes highlighted as one of the biggest marketing opportunities that brands don't utilize, harnessing these three different areas can push a struggling business into more prominent quarters. Many brands may make the most of one or two areas of this trifecta, but, if you recognize that you're not making the most of all of them, this will soon become apparent. So many brands make the most of PPC or plunge their efforts into search engine optimization, but to be competitive and to maintain an edge, content distribution is the missing ingredient. For those brands looking to improve their strategies, looking to keep on top of trends, and make the most of marketing tools, ensure your content distribution is at the forefront of your marketing strategy. How to create a #content distribution strategy with a free template. Providing relevant content at the right time to the people who need it is an integral part of digital marketing, but it won’t happen by accident. To achieve an effective content distribution, you need to follow a step-by-step strategy. Your target distribution channels are the sites, organizations or entities from which you disseminate content. Content marketing distribution channels may include social networks, your website, a partner blog, a podcast or some other digital medium. Before you begin your content distribution strategy, therefore, it’s worth writing down a list of all the ways you’ll distribute your content with a brief justification for why. Guest posts on external websites have two functions: to promote your content to a new audience and to create links to your site for SEO purposes. 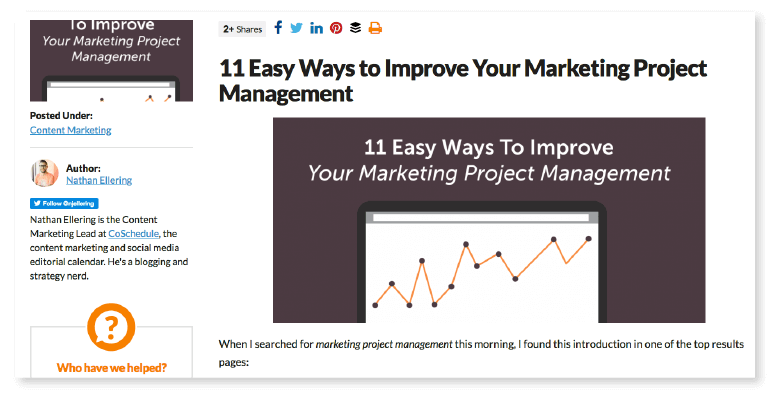 These articles can introduce your content to people who wouldn’t ordinarily see it and who might benefit from it in the future. Before posting on external sites, think about whether they attract visitors who could benefit from your product. Here’s an example of a guest post on Convince & Convert by CoSchedule. Another strategy for guest posting is to reach out to bloggers of articles that already exist on your target keywords. You can ask the author to add a section about your tool/product with a link back to your website. Online communities are any place on the web where people gather to interact. Distributing content through these channels (Facebook groups, LinkedIn groups, Reddit, forums, etc.) can be effective because communities naturally generate interest and engagement. Ideally, you want to create shareable and “commentable” content that produces a buzz. Be careful with this tactic however, you want to genuinely helpful and not promotional. Here’s an example of a discussion on Reddit regarding Facebook advertising. This would be a good opportunity to link to a content piece from your blog that helps solve the poster’s problem. External podcasts can be an excellent vehicle for distributing content to a new audience. Many media firms, like the BBC and the Wall Street Journal, give space to businesses on their podcasts to speak about what they do. This example is from the Wall Street Journal is inspired by the popular column which commuters can turn to for insights on business, the economy, markets, and politics. The content on podcasts is usually newsworthy and topical. It can be a great way to increase brand awareness and reach new audiences that are not aware of your product or service. Blog posts on your own site are an opportunity to tell your audience more about yourself and provide them with real value. 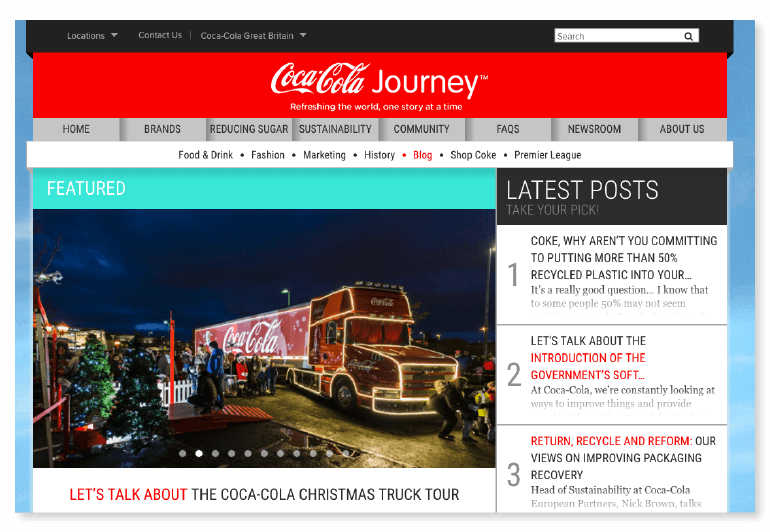 Coca-Cola - the world’s premier soft drinks brand - has one of the top company blogs in the world. It talks about its approach to corporate responsibility, its plans to make the business more sustainable, and how the company operates internally. The blog is a great tool to get readers engaged in content and up-to-date with trends. Internal videos are videos that companies make for the benefit of their colleagues. Although most businesses focus on external videos - or those that are customer-facing - internal videos can have tremendous value for training and teaching staff about the company values. Walmart has been using internal videos to distribute content for many years to teach new hires about the importance of warehouse safety and correct lifting techniques. Webinars are interactive online seminars where a company imparts information and then invites guests to ask questions and give feedback. ARK Invest is an investment broker with a focus on future technology. 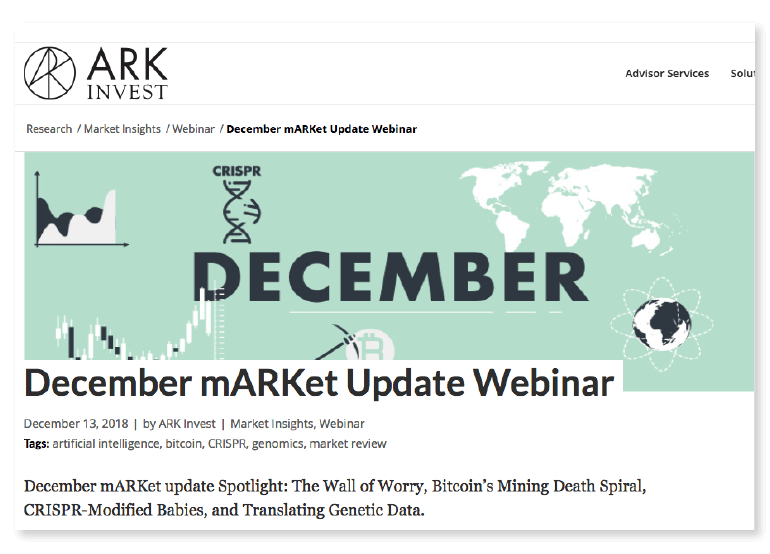 The firm hosts monthly webinars where it explains to customers why it is investing in certain sectors (like robotics or genetics) and how they think the market will adjust to new technological changes in the future. Investors can then ask questions about why the firm is investing their money in a particular way. Demos of how a product works are a great way to get information across to customers. Although demos are usually explicitly promotional, this doesn't mean that they can't be used to educate customers about the powerful benefits of a new product. In 2018, Google demoed its new product, Duplex, which is an AI voice bot that can conduct basic conversations on a user’s behalf (for instance, book a table at a restaurant). At Google I/O 2018, the company demonstrated the product live, showcasing it’s audience the benefits directly. Infographics use a combination of pictures and text to convey information or statistics readably. 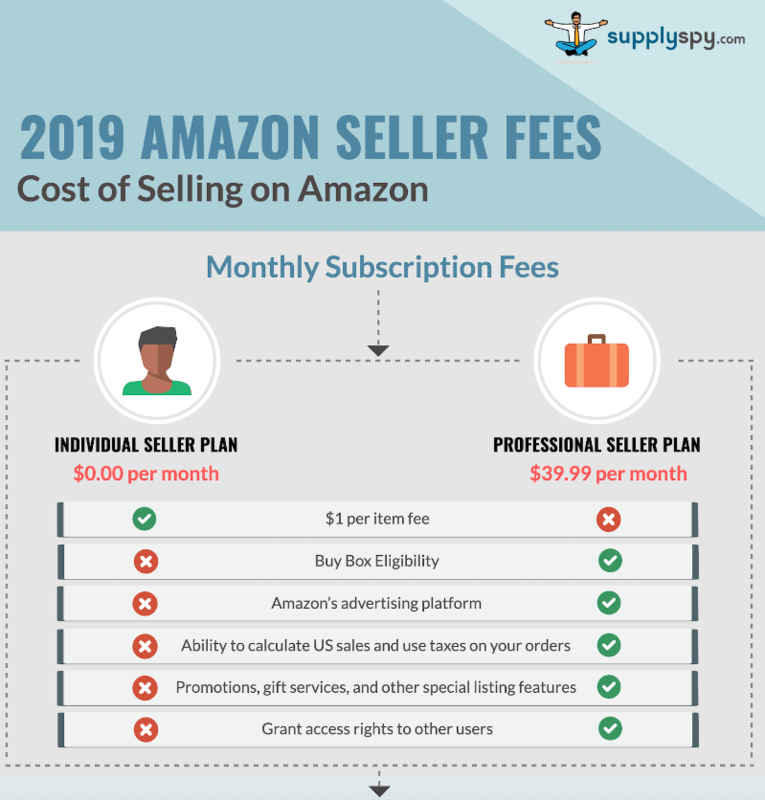 Supply Spy, a firm that helps users research Amazon products, has an infographic which breaks down the complicated topic of Amazon seller fees into manageable chunks, helping to make the subject more approachable. Shopify is a platform which provides a range of utilities to budding online retailers, such as website design and payment facilities. Setting up an online store can be a complicated business, so Shopify provides guides for all sorts of things, such as how to sell on eBay, small business marketing on Twitter, selling products on Amazon, and how to grow an e-commerce business with email marketing. Pizza Hut is one of the most interesting examples of a company that uses social media distribution effectively. Rather than use its Twitter feed to advertise money-off coupons (which seems to be the default position of many other pizza chains), it uses social media to celebrate the product that it sells. By doing this, it creates much more engaging, likable and sharable content and video. Email marketing has the highest ROI of any form of digital marketing, according to Litmus Software. Many companies use email to distribute special offers and deals tailored to their customers, but the most successful email campaigns tend to be those that communicate genuinely exciting information. 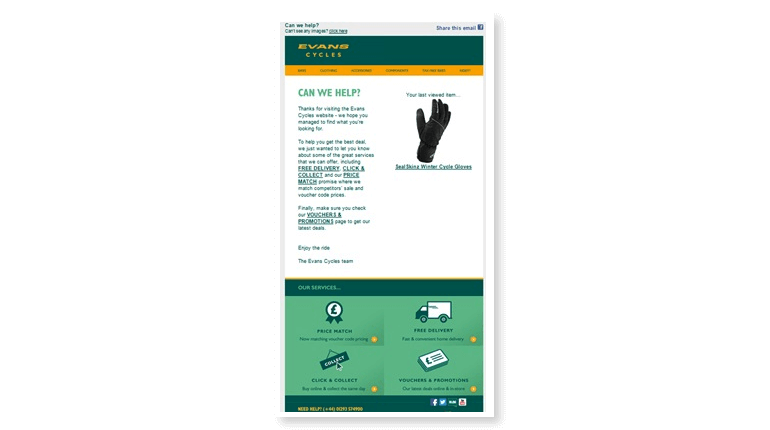 Evans Cycles, a cycling firm based in the UK, sends customers a combination of special offers and informational videos on how to look after their bicycles. Ebooks are in-depth resources that companies can provide their customers to cement their authority in a particular field. Ebooks demonstrate to customers that a business has substantial expertise, making them a preferred source of reliable information. Deloitte is a professional services company that provides tax advice, management consultancy and strategy advice to firms all over the world. 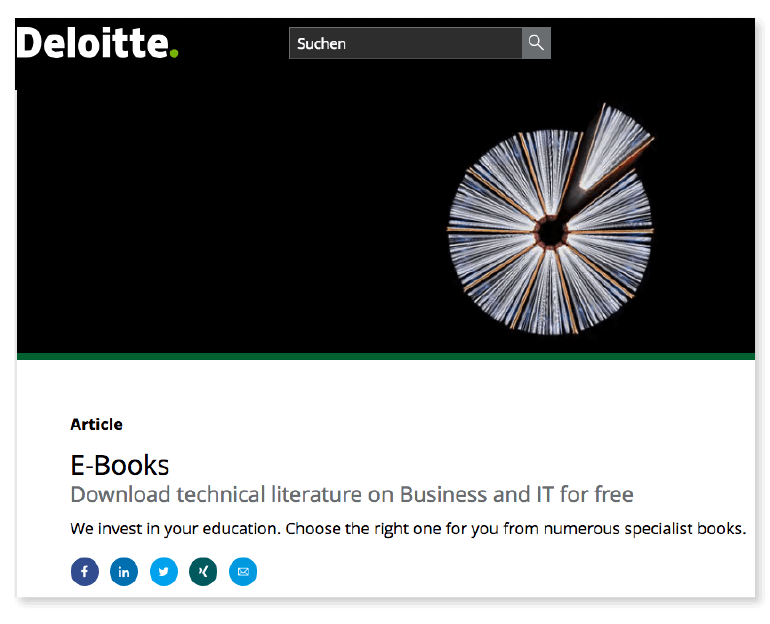 Its work is detailed, so it often uses ebooks to complement the work that it does with firms. The company’s clients can get bespoke advice direct from consultants and then refer to ebooks if they need a refresher once consulting is finished. But, let’s be honest, the last thing most marketing managers need is another spreadsheet to add to their ever-growing list. The good news is, there’s a better way. Your entire team can collaborate, plan and execute their content distribution strategy with CoSchedule. No spreadsheets, no manual updating, no status updates. Just one amazing hub to plan it all. To start, add a new marketing project in CoSchedule by clicking the plus sign on your project kickoff date. Then choose the option entitled “marketing campaign” on the list. 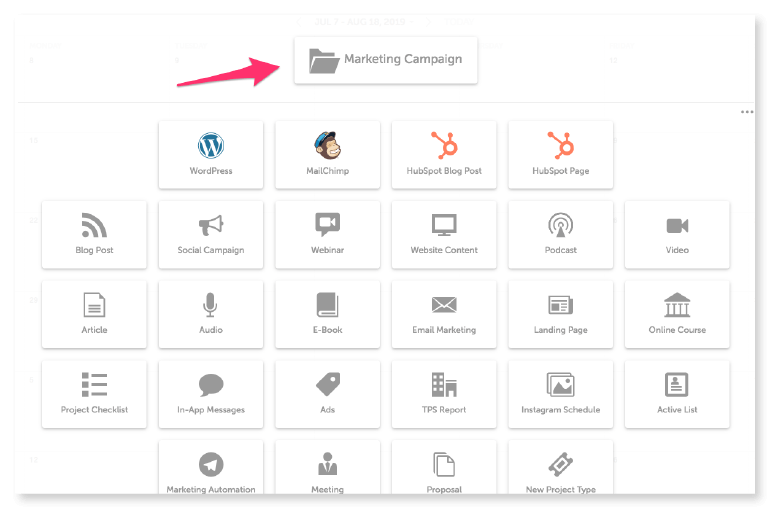 Next, add each individual content promotion and distribution item to your marketing campaign. Once you’ve added all the individual content distribution tactics, you’ll see a visualization of every element on your CoSchedule calendar. Everyone on your team will know exactly what is going live and when, and their tasks for each tactic. Goal setting is an essential aspect of your overall content distribution strategy, whether you’re trying to reach people through social media tools, external blogs, your website. But how do you set effective content distribution goals? Some organizations create content for the sake of creating content, thinking that it will put them at an advantage. But any experienced digital marketer worth their salt will tell you that the only way to drive things forward is to make sure that you're clear on why you’re distributing content in the first place. The content distribution strategy you choose will depend on your overall goals. A plan designed to improve awareness of your brand will be very different from one that hopes to increase customer retention or upsell customers on various products. Some businesses try to be smart and align content with multiple goals, hoping to kill many birds with one stone. Companies create content that they expect will improve their ranking in search engines, generate a buzz on social media, increase awareness of their brand and boost leads. But trying to tick all the boxes rarely works and you may find that your content is less useful in certain channels than it would be had you stuck to a specific strategy. For example, you might create a wordy blog to help you rank for specific keywords in Google search. #Content distribution strategies shouldn't be cookie cutter. But a lengthy article is unlikely to get as many shares on social media as, say, an original picture or meme. What’s important here is that the distribution strategy is fit-for-purpose depending on the content type. I.e. Content distribution strategies shouldn’t be cookie cutter. Link distribution tools help authors find pictures and links to external websites that are relevant to the content that they create. For instance, a tool called Zemanta helps content creators generate links to suitable sites in blogs-in-progress, cutting down on publishing time. News distribution tools allow content marketers to access news channels that can distribute their content to a broad audience. Services, like ARC, help content marketers using press release distribution channels gain access to thousands of media outlets, social networks, and video sites. Customers can then update any press releases dynamically, should they need to. Suggested story tools help content marketers create content that will drive more views. For example, a tool called SimpleReach analyzes which publications are most shared and most likely to be shared, and then provides content recommendations to publishers. Suggested story tools, therefore, help organizations create only the most impactful content. Video is fast becoming the most popular medium of content consumption on the internet. Publishers, therefore, need access to high-quality video distribution tools that can help users access many video platforms online. 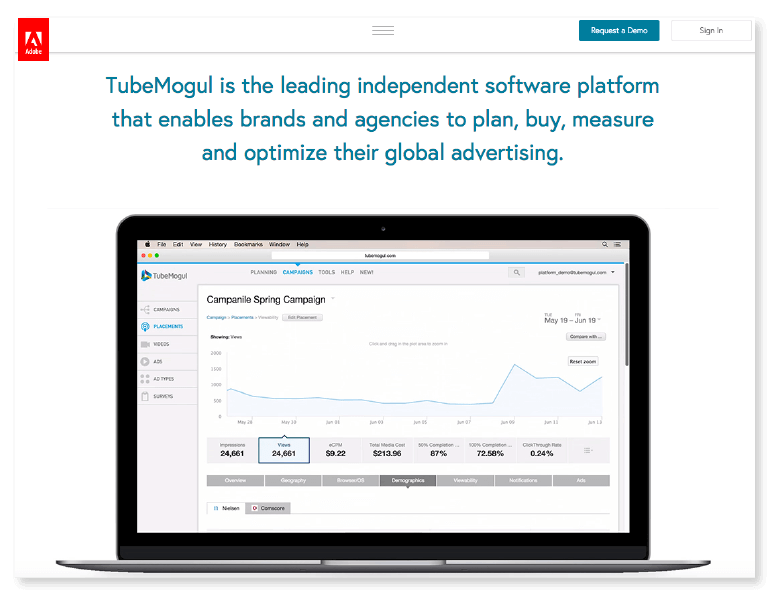 A tool called TubeMogul does precisely that. Publishers upload the content that they want to distribute and then the software publishes the video on a range of social and media channels on the internet. Video distribution apps also regularly provide supporting analytics so that organizations can track the effectiveness of their video productions. Not only is content distribution time-consuming, but it can also be expensive, especially when things go wrong. Here’s what not to do when distributing content. Data shows that people tend to open their emails at a higher rate at certain times of day than others. Right now, if you send a prospect an email at 10 am, they are more than twice as likely to open is as they are if you send it at 10 pm. Likewise, people are more likely to engage with your content on social media during hours when they are idle. Posting content at 9 am on a Monday probably isn’t a good idea, since most people will be sat at their desks with a large mug of coffee in hand. Data suggests that the best time on LinkedIn, Twitter and Facebook is early afternoon towards the beginning of the week when people are on their lunch breaks or standing in queues running errands at the post office. Some companies that are new to the content distribution game attempt to target as many people as possible. They hope that the more people who subscribe or sign up, the higher will be their sales. But this is rarely how it works in practice. What usually happens is that organizations spend a lot of money targeting people who aren’t particularly interested in what they have to say and then, over time, their unsubscribe rates go up and engagement declines. Smart marketers define their target customer according to an emotional need. They create a buyer persona centered around pain points, questions or motivations, and then tailor a strategy accordingly. 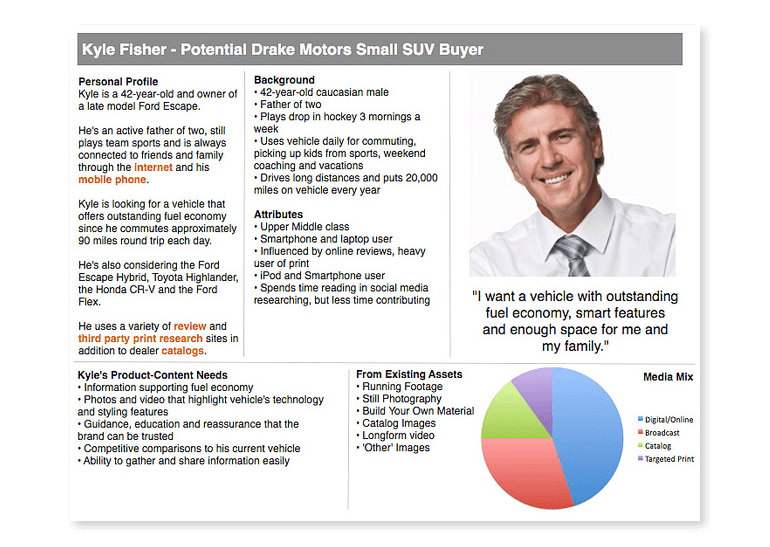 Here is a buyer persona example for a B2C vehicle company. After you outline your target persona, you’ll be better able to understand their needs and tailor your messaging strategy. With so many content distribution platforms, marketers, and topics, it is all too easy to fall into the trap of being inconsistent in your content distribution plan. Ideally, you need a strategy where buyers are exposed to the same ethos no matter where they consume your content. Video hosting company, Wistia, is an example of how doing consistently great content marketing pays off in the long run. They clearly have a solid strategy when it comes to distributing their content. Looking for a specific example? Check out how they distributed their original series, One, Ten, One Hundred. The only way to know if your content distribution strategy is successful is to measure the results. The number of views a page received - This helps marketers understand the effectiveness of their marketing and visibility. The number of shares - This helps marketers understand the reach of their content and it's popularity. If you're looking to increase brand awareness, this would be a good metric to track. The keywords people used before viewing content - This can help marketers decide which keywords to focus on for best results. The number of leads generated by the content - This helps marketers understand the ROI from the content marketing efforts.. The type or category of content people consume the most - This helps marketers understand what category is appealing and this data might help you target the audience more effectively. The most effective channels for content - This helps marketers understand which channels are the best for getting traction and decide which channel to scale up. 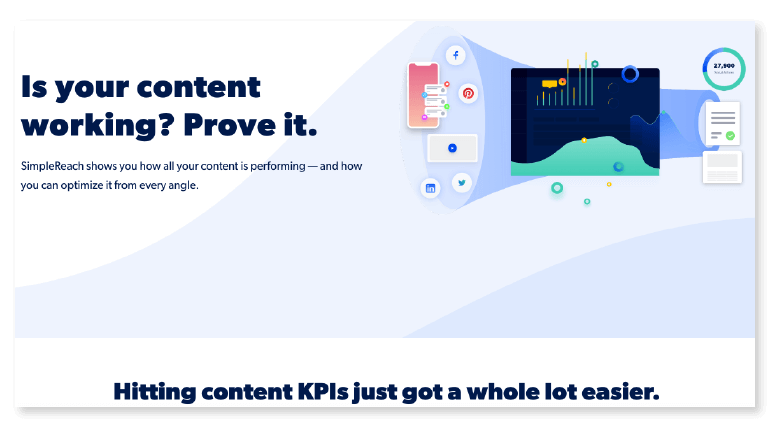 Combining insights from all these metrics will help you find out whether your content distribution strategy is successful or not.